I began training in Photography and came to painting a little later. 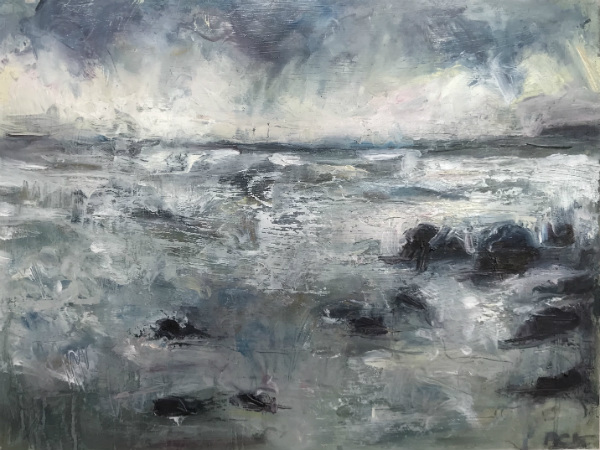 Twelve years ago I moved to Devon and began painting in oils having seen and been inspired by the amazing and exciting landscapes of the Scottish painter Joan Eardley. I enjoy using a palate knife for most of my work and love the smooth hard surface of Gesso on board. The light particularly moves me in winter and the wonderful contrasts on Dartmoor when a dusting of snow arrives. Each painting I undertake is an exciting but also challenging adventure and I am never sure quite where my journey will finish.